NEW YORK–(BUSINESS WIRE)–Star Mountain Capital, LLC (“Star Mountain”), a specialized investment manager focused exclusively on the large and underserved U.S. lower-middle market, is pleased to announce that Dr. Anthony Pesco has joined the team as a strategic personal investor and Senior Advisor. Leveraging his 25 years of finance, risk management and investment experience, Dr. Pesco will provide valuable insights as Star Mountain continues to bring large market best practices to the small and medium-sized business marketplace. Tony recently retired from Credit Suisse after 18 years where he held several leadership roles including running a 500-person global team which generated approximately $2 billion in annual revenues. Dr. Pesco initially joined Credit Suisse as a Managing Director and Deputy Head of Strategic Risk Management and was responsible for evaluating and managing significant balance sheet risks and recommending corrective action where appropriate. He was the chief architect of the Credit Suisse economic risk capital allocation model to allocate risk capital amongst its businesses. 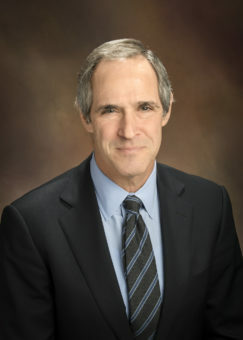 During the 2008 – 2009 financial crisis, Tony was Head of Trading Risk for the Securities Division and was responsible for managing and disposing of the bank’s dislocated credit and real estate assets. Previous leadership roles at Credit Suisse include Global Head of Equity Derivatives, Fund Linked Products and Convertible Bond Sales, Trading and Product Development. Prior to joining Credit Suisse, Dr. Pesco was the Global Head of Derivative Products at Santander Investments and head of Product Development for AIG Financial Products. He started his career in finance in the Derivatives Research group at JP Morgan. 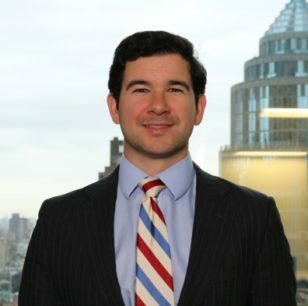 Dr. Pesco has a PhD in Chemical Engineering from Columbia University and worked at AT&T Bell Laboratories as a research scientist prior to embarking on a career in finance. “Tony brings extensive experience in building and leading teams, product development and managing complex risks. We look forward to his additional insights including working with his former colleague, our Chief Risk Officer Dr. Lev Borodovsky,” said Brett Hickey, Founder & CEO of Star Mountain. “Having Tony join Star Mountain as a senior advisor and strategic investor continues bringing large market expertise to the lower middle-market, which we aim to do at Star Mountain. Tony is a former colleague and I’m happy to be working together again,” said Chairman Brian Finn. “I look forward to sharing my thoughts around best practices and risk management to help further Star Mountain’s already excellent reputation as a prudent and value-added investor in lower middle-market companies,” said Dr. Anthony Pesco. Investing in the Growth Engine of America ® – Star Mountain Capital is a specialized asset management firm focused on investing in the large and underserved U.S. lower middle-market of companies with typically between $10 million and $150 million of annual revenues. Star Mountain’s distinctive business includes a custom-built media and technology platform and brings proven, large market resources to smaller businesses as a value-added lender and investment partner. 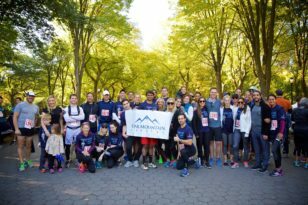 Star Mountain was named one of the 2017 Best Places to Work by Crain’s New York Business.